This shark, caught and tagged off Florida, was one of those whose movements were studied. Great white sharks like to hang out deep in anticyclonic, or clockwise-spinning, eddies in the North Atlantic Ocean, according to new research from the University of Washington and Woods Hole Oceanographic Institution. “Our leading hypothesis is these warm eddies are a refuge for them. They can feed longer at depth,” said Peter Gaube, a senior oceanographer in the Applied Physics Lab at the university. The new research was published in May in the journal Scientific Reports. 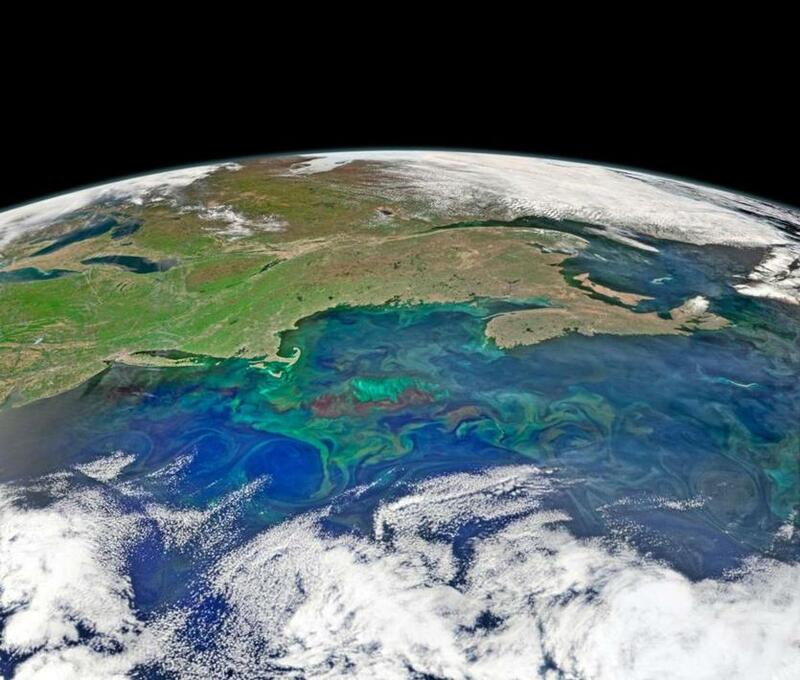 Thirty percent of the world’s ocean surface is covered by eddies, some of them as large as the state of Massachusetts, researchers say. A satellite image of the North Atlantic in 2015. The swirls show the location of eddies. Researchers said they were surprised to find that the sharks cruising through the North Atlantic favored the warm-water eddies, which, because of their scarcer nutrients, have been thought to contain less marine life than the cold-water ones, Gaube said. 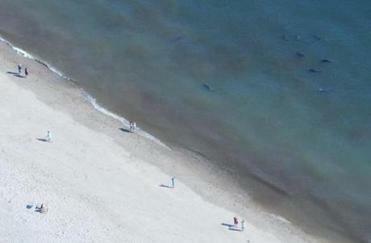 A lifeguard Friday spotted blood in the water, signaling that a shark could be nearby, an official said. “We’re showing that these really huge sharks that need tons of food are going into those eddies,” Gaube said. Sharks are effectively warm-blooded. So the warmer water allows them to forage longer, Gaube said in a statement from the university. It’s also possible, he said, that deep down, the ocean contains many more fish than previously believed. “Could these ‘ocean deserts’ actually be super productive at depth? 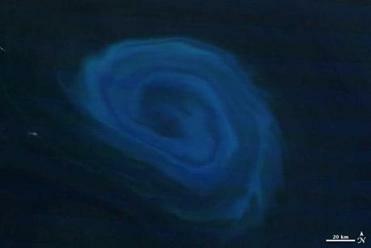 That’s what we think might be happening,” said Gaube, who looks at how ocean eddies influence marine animals. The study looked at the movements of two female great white sharks, one tagged in September 2012 off Cape Cod, the other in March 2013 off Jacksonville, Fla. 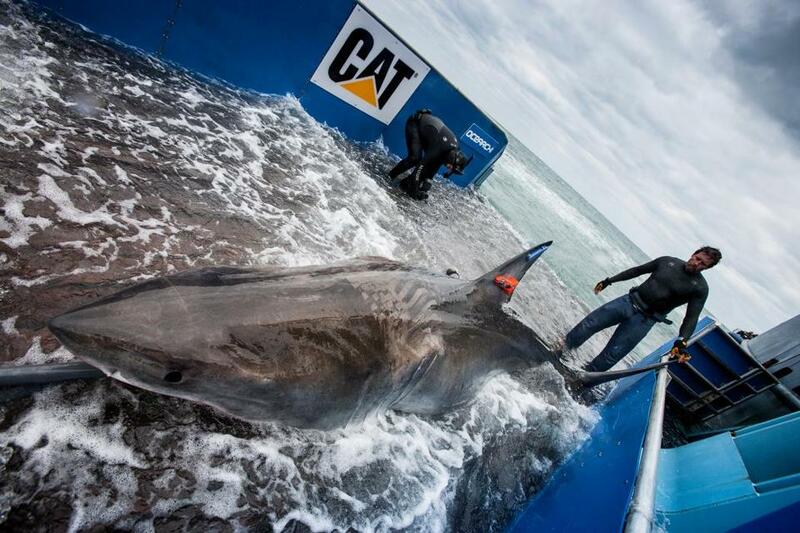 The animals were tagged by OCEARCH, a nonprofit that focuses on tagging and tracking sharks. Massachusetts state shark expert Greg Skomal was also one of the authors of the study. The sharks spent the longest time at about 450 meters deep in the warm-water eddies, especially during the daytime. They were more likely to come to the surface at night. The study is the first to show that sharks gravitate toward eddies and that they prefer the warmer ones, the university said. A closer look at a single eddy. Gaube suggested that, in the future, fisheries regulators could establish “mobile marine protected areas” to keep fishermen away from the sharks, which are considered a “vulnerable” species. “Maybe if we understand the biology of these animals, how they use these features, we could say, ‘OK, do not fish anticyclonic eddies during this time of year because you’re more likely to catch white sharks,’ ” Gaube said.